Inside: design for testability, the Shower Methodology, test maintainability. Do you like this article? Subscribe to the feed to be updated about new posts on Invisible to the eye. Get to know what lies under the hood of software. If you prefer, you can follow me on Twitter. 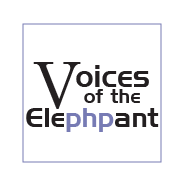 Practical PHP Testing, downloadable ebook: never insert echo statements and debug in the browser again. Practical PHP Patterns online book, Design Patterns and PoEAA revisited in PHP. Practical PHP Refactoring online book, following Martin Fowler's footsteps. Practical PHP Testing Patterns online book, xUnit Testing Patterns revisited in PHP. My PHPUnit Refcard will help you use PHPUnit at its best. Invisible to the eye blog by Giorgio Sironi is licensed under a Creative Commons Attribution-Noncommercial-Share Alike 3.0 United States License.